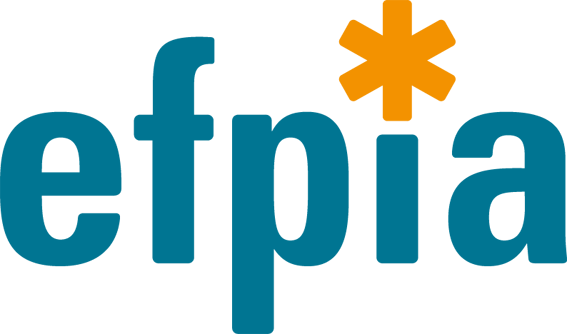 Why is EPAD’s research so important? We now know that subtle changes in the brain may start a decade or more before the symptoms of Alzheimer’s dementia appear. This suggests that a very early form of Alzheimer’s disease process starts well before people start developing typical symptoms like memory loss. If this is the case, then we may be able to identify those people most likely to develop dementia, and possibly prevent or delay the disease from developing into Alzheimer’s dementia. Currently, doctors can only diagnose Alzheimer’s disease in people who already have dementia or are very close to developing dementia. Available treatments are helpful, but they cannot stop the disease from progressing. EPAD aims to identify changes in the brain which may lead to Alzheimer’s disease before symptoms appear. In theory this is when treatments are most likely to be successful in preventing further spread of the disease in the brain. We suspect that some treatments will work best in people who share a small number of characteristics. The EPAD approach is to identify these people and invite them to join a clinical trial for a specific medicine. That will allow us to test whether these people respond well to the treatment. If not, we may then be able to identify other people who are more likely to benefit. We manage this by running EPAD Longitudinal Cohort Study and clinical trial together in the same research programme. This is an unusual approach, but there are great benefits to doing so. 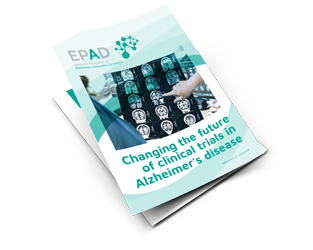 By taking on board many of the lessons learnt over recent years in clinical trials and by studying people at risk of Alzheimer’s before they develop symptoms, EPAD has the opportunity to develop approaches to stop the diseases in its tracks. 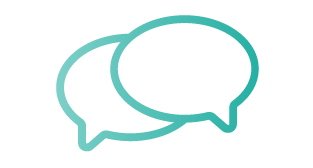 Find out how to get involved in EPAD and the progress we are making.